A stand-alone garage like this is both rare and valuable in the Seaport District. Boston’s real estate boom is inspiring a skyline of shiny new office towers, luxurious penthouse condos with panoramic city views, and now this: a $56 million bidding war for a parking garage. The Necco Street Garage isn’t fancy — 657 parking spaces on six stories of blocky concrete, in brown and white. But in the hot Fort Point Channel neighborhood, where new condos are going for $7 million, even the humble parking space has become valuable real estate. The Necco Street Garage has changed hands twice in two years, its price soaring 65 percent in 20 months, sending the value of each space to $85,000. 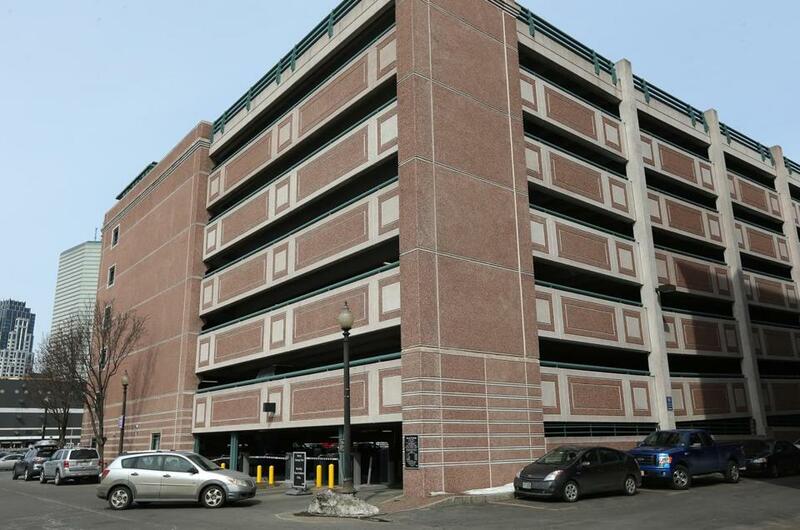 With new developments in the Seaport District gobbling up street-level parking spots by the thousands, a stand-alone garage like this is both rare and valuable in a part of the city flush with money but pinched for parking. The Necco garage deal heated up late last year, well before parking in Boston went from scarce to a harrowing, snow-encrusted ordeal. One bidder was the deep-pocketed Massachusetts state pension fund, the other a Seattle real estate firm on a major Boston shopping spree. The retirement fund — new to this arena — opened with a $48 million offer. The bidding quickly escalated to $54 million. Then the Seattle firm, Bentall Kennedy, went higher, winning the auction in December for $56 million. In January, Bentall Kennedy disclosed that it had scooped up a total of nine buildings, including the garage, “with redevelopment and development opportunities” for $250 million. The firm said the garage, close to another building it bought at 300 A St., would provide additional parking for tenants, as well as the public. Officials there would not say whether the firm might change or further develop the garage property. The firm specifically cited a longstanding parking freeze in Boston and the Seaport area as a reason the property was attractive. Consider some simple math: The daily rate at the garage is $21. With 657 spaces, that’s $5 million in annual revenue if the spots are occupied every day of the year, or a nearly 9 percent return on what Bentall Kennedy paid for 10 Necco St.
Above-ground garages have modest expenses compared with other properties, with few heated areas, low upkeep, and only occasional cleaning, real estate specialists said. And they can easily raise rates for hourly, daily, and monthly parkers. At $21 a day, Necco Street is a bargain compared with many downtown garages. The Boston Harbor Garage near the New England Aquarium charges $36 a day. It last sold in 2007 for $153 million, making its 1,437 spaces worth about $106,500 each. However, that property is the subject of a major office-tower development proposed by Don Chiofaro. Boston is facing a parking shortage, made worse as many of the parking lots in the Seaport District have been overtaken by development. While a precise accounting of Boston’s parking availability has not been done since the late 1990s, James Gillooly, deputy commissioner of Boston’s Transportation Department, told the Globe in October that the Seaport has probably lost about 3,000 spaces over the past several years. Indeed, just a few blocks from the Necco garage, developers paid $2.9 million last summer for a modest street-level parking lot on Congress Street. Those couple of dozen spaces, not far from the Boston Children’s Museum, will give way to 10 Farnsworth, a “boutique” condo building with nine units priced from $3 million to $7 million, and private parking for the people who live there. Not all of the new residences in the Seaport come with parking. Frank Petz, head of capital markets for the real estate broker Jones Lang LaSalle, said condo and apartment buildings going up in the area have two to four times as many units as parking spaces on average. Meanwhile, the thousands of commuters who flock to the Seaport and downtown Boston increasingly battle for those fewer spaces. At lunch time one day last week, the Necco Street Garage was full, as were all of the street parking spaces in the area. 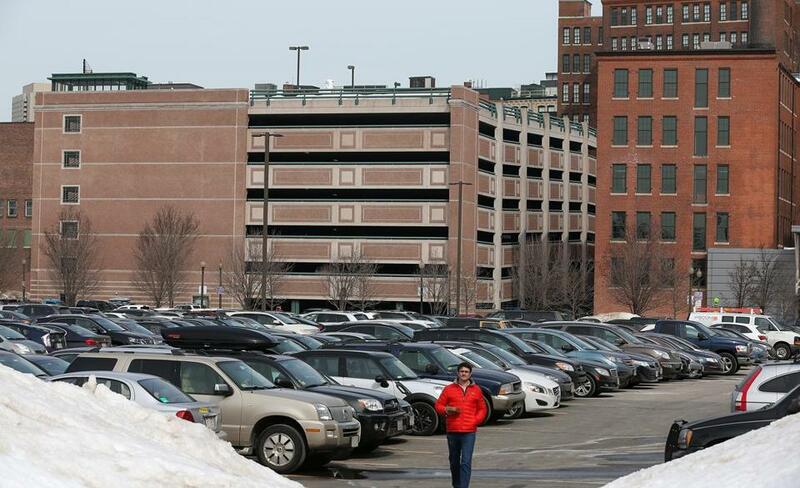 For the Massachusetts pension fund, the Necco property was an attractive investment partly because “it’s in our backyard,’’ and officials could clearly see the strong demand for parking there, said Michael Trotsky, the fund’s executive director. Nonetheless, Trotsky said, the fund feels good about not chasing Bentall Kennedy with a higher bid. Besides, the pension fund profited from the sale of the garage. That’s because it owned a slice of the building through an investment in a real estate fund that sold the building to Bentall Kennedy. 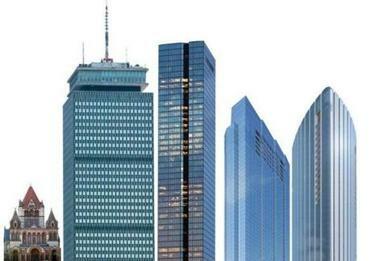 Now, the pension fund has set aside $100 million to invest in other properties in Boston or other cities as opportunities arise, even as the market heats up. “We’ll be very careful about it,’’ Trotsky said. A building boom in Boston is taking up parking spaces, making room for vehicles an increasingly scarce commodity.